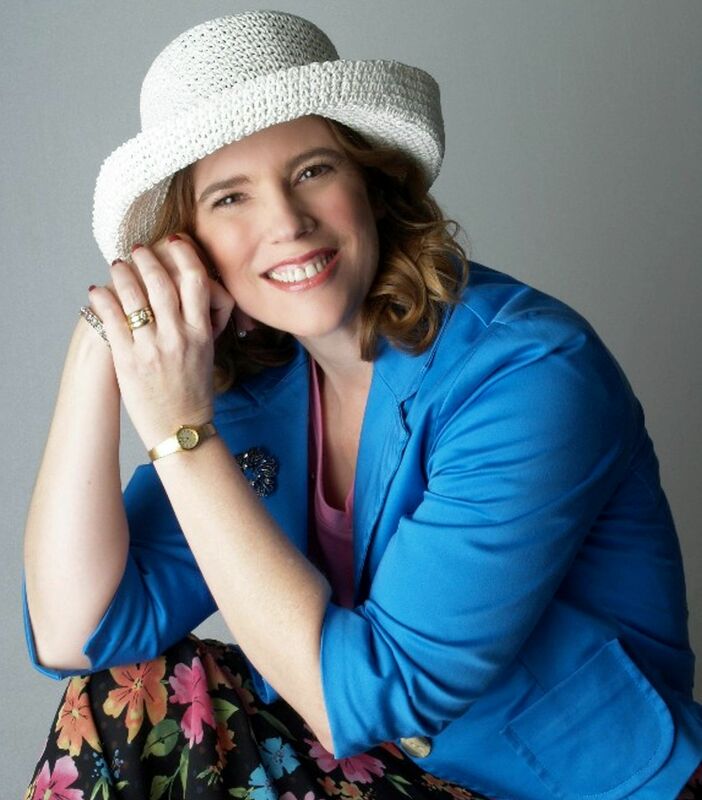 Please help me welcome today’s guest, Tina Gayle, who is sharing a little about herself and her brand new release! Hi Alicia, thanks for having me on your blog today. You’re welcome, Tina. So thrilled to host you! I grew up in the great state of Texas with three sisters, all of which are older than me. A dreamer from the very beginning, I love telling stories and fell in love with romance novels in my teens. After I got married, we moved around a lot and now, we are in Orange County, California. My husband and I love to be outside and travel. We play golf and visit our two sons when we can. Right now, we have one dog, Callie, who rules the house. Where did you get the idea got Marketing Exec’s Widow? This series started years before I sat down to write it. My husband worked for a logistic company that had a truck with a big roll of paper that broke its secure line and rolled off the truck. It crushed the people in the car next to it. A tragedy that I couldn’t seem to get over. When I started this series, I wanted to write about women who were over coming grief from the loss of their husbands. So the Executive Wives’ Club was born. In the Marketing Exec’s Widow, Jen is a married single who now has to move on with her life, but she faces losing her friends by recovering from her grief before the rest of the group. I believe this book and series has more women fiction elements. Mainly, I choose this genre because I feel woman need to understand as much as we need romance in our lives we also need to establish strong ties to other women. I started out this series with different titles but ended up changed them because people didn’t see them as romances. What is the most difficult thing about writing a book? What was the most difficult thing about this one in particular? The worst part of writing a book is the end. I always struggle to finish a book because I have finished writing it in my head so getting the last part on done always require me to exert a little extra push to get her done. The most challenging part to this book was to include stories for the other three ladies so that readers would want to read their books too. For years I was a computer programmer. I loved it when I could write a new program. Mainly, because it feeds my creative juices. Elephants. I have to keep them small because they take up a lot of room. But I do love the gentle giant. Favorite book is Power of Positive Thinking – it helps keep me motivated and reminds me that we are what we think. Favorite childhood book is Touchdown for Tommy. 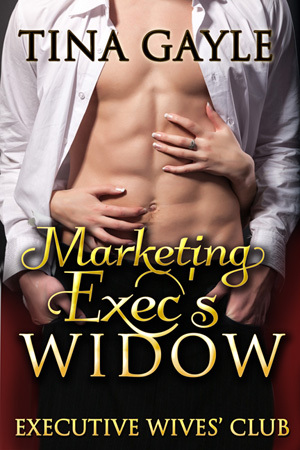 What do you want readers to come away with after they read Marketing Exec’s Widow? Inspiration – I want readers to see that no matter how bad things might get in our life. There is always hope for a brighter tomorrow. Tina has a question for readers… What do like to see most in a romance novel? Good question, Tina. For me, I like good conflict and a story where the hero and heroine have to really work for their HEA. Having come to terms with losing her husband, Jennifer is ready to move on with her life, but she faces opposition from her friends, in-laws, and brother-in-law, who see himself as her future husband. None of them know of Jen’s marital problems and she is afraid of their reaction when they learn she has a date for Friday night? Hagan Chaney is not anything like Craig. He tempts Jen into the future but is she willing to give love another chance after the heartache she faced the 1st time around. Lovely excerpt! I like humor in romance novels. Even small bits in more serious books helps me understand the story better. Unrelieved drama is not something I enjoy or can relate to, as I deal with stress by laughing. Sometimes it hurts to smile, but then life gets better. Thanks for your interview insights and best wishes with this book release! I agree Ashantay. I like to have humor in my romances, but not over the top stuff. Just little things that happen in everyday life that anyone could do. Thanks for leaving a comment. I always enjoy hearing from readers. Great interview and excerpt, Tina! Good luck and God’s blessings to you and Alicia. I enjoyed the excerpt. Good luck with your release! Humor makes any story better. Great excerpt. I wish my muse had a bigger funny bone. Interesting concept for your series. Great excerpt. Best wishes. Loved the excerpt! Best of luck with your release! Super interview! I personally look for suspense and conflict in romance novels–otherwise I lose interest. This one sounds like a zinger! I look for suspense and conflict in romance–otherwise, I lose interest. This one sounds like a zinger! Good luck. The most unexpected premise for a contemporary romance I’ve heard in a long, long time. Congratulations on the unique storyline. I enjoyed the excerpt. You’ve created an interesting, complex heroine. What an interesting excerpt – wishing you many sales and great success with your new release! Nice interview and I enjoyed the excerpt! I do like the unique angle on this one! Sounds like a great r novel. I enjoyed the interview too.